Once again, the White House spin doesn’t line up with the facts. And once again, people who should know better are buying the spin. In fact, TPP – which Obama calls an essential part of his foreign policy ‘pivot to Asia’ – will do nothing to curb China. It will actually help China “write the rules” for the global economy. Obamatrade amounts to an Open Door policy that will allow China to draw its neighbors into closer orbit, forge an alliance that weakens U.S. influence in the Asia-Pacific region, and strengthen China’s military, economic and diplomatic power. Even before it’s been ratified, the TPP has tightened China’s embrace of its neighbors. China has invested billions in Vietnam to take advantage of the preferential access to the American market Vietnam will enjoy under the TPP, reports VietnamNet. China will be profiting from Vietnam’s export sales – and using those profits to build its military and economic clout in the region. These investments tie the neighbors together politically as well as economically. Forbes reports Hanoi is taking steps to prevent a repeat of the anti-China riots of 2011. The free trade acolytes who naively assert nations that trade don’t go to war with each other can point to the burgeoning China-Vietnam partnership as Exhibit A. China plans to use Vietnam to export to the U.S. not only goods it will make in Vietnam, but also to trans-ship goods that are made in China. The automobile industry is the prime example. China already makes the auto parts that go into Japanese cares that will receive favorable treatment under the TPP. It is poised to build an automotive industry in Vietnam that will assemble parts Made in China – and export them from Vietnam to the U.S. as a “most favored” TPP nation. The administration wants us to believe that TPP will provide a counterweight to China’s influence in the region. But that glosses over the inconvenient fact that China is widely expected to join the Trans-Pacific Partnership. 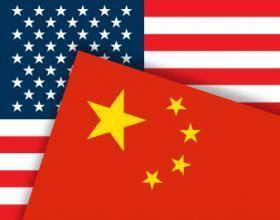 President Obama told Marketplace radio that China is already seeking entry into the Obamatrade club, and Chinese officials have confirmed their interest. If you believe the U.S. would go against the other members of the TPP governing body, the Trans-Pacific Partnership Commission, and object to China’s accession, consider this: Taiwan has already made it clear it wants in. When Taiwan formally requests admission, Beijing will invoke “One China,” which has been official U.S. policy since 1972, to demand its own seat at the table. At that point, the U.S. president will either have to overturn five decades of foreign policy or acquiesce to the wishes of China and its enablers at the U.S. Chamber of Commerce. Once inside the tent, China will have a vote on the Trans-Pacific Partnership Commission as does every other member. But China will also have an outsize influence as the 500-pound gorilla next door to, not across the ocean from, the other members. They will be loath to defy their powerful neighbor. In no short order, China will come to dominate the alliance that President Obama has worked to build and push through Congress. This is the same strategy China has used to develop its technological and industrial prowess: let the U.S. build it, then take it over. The Obama administration has been touting Obamatrade as a geopolitical and military curb on China and an essential part of its ‘pivot to Asia.’ Defense Secretary Ashton Carter has not so subtly compared the TPP to having “another aircraft carrier.” China is building military bases astride sea-lanes in the South China Sea, and the Obamatrade “aircraft carrier” is needed to counter them, proponents say. This reasoning may sound appealing on the surface, but on closer examination it is patently absurd. More than $5.3 trillion in trade passed through the South China Sea in 2011. “This trade route is crucial in manufacturers’ supply chains and for energy supplies to Asia,” the Nikkei Asian Review reports. In plain English, this is the trade route China is using to build its economic muscle. It is through this route that China imports raw materials and exports finished products for sale. China uses the money it earns from exports to build its military. Is there nothing more absurd than sending our aircraft carriers to defend the trade routes China depends on to earn the money it uses to build its aircraft carrier-killing missiles? But coming from an administration that told us we could keep our insurance if we liked it, and fighting climate change will defeat ISIS, it’s not surprising. Despite what the administration says, Obamatrade will not let the U.S. ‘write the rules’ for the world economy. It will help China do that. Congress should not get fooled again.